With two home runs in an 11-2 win over the Seattle Mariners on Thursday night, Pujols tied Ken Griffey Jr. for sixth-most all-time with 630. LOS ANGELES, CA. 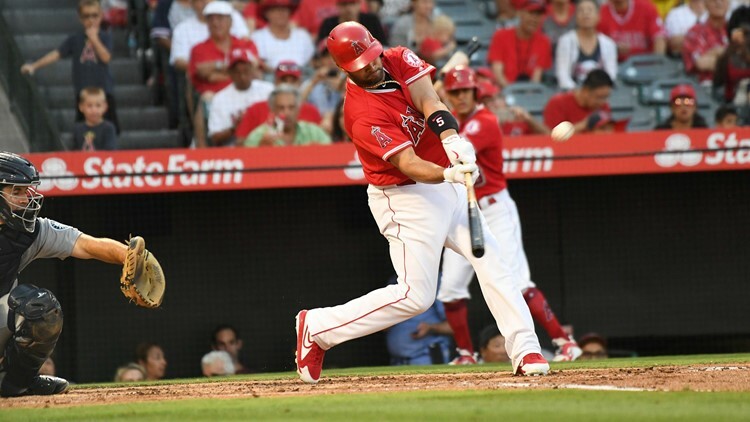 — Albert Pujols continues to move into rarified baseball air. Also, with his three-hit performance, Pujols moved past Rod Carew and into a tie at 25th with Rickey Henderson on the all-time hits list. Pujols and Henderson each have 3,055 career hits, while Carew has 3,053. Pujols is now five hits behind Craig Biggio for 24th on that list. It's been a season of milestones for Pujols. On May 4, Pujols collected his 3,000th career hit (also against the Mariners). In conjunction with his 600-plus career home runs, Pujols became just the fourth player in major-league history with both 600 home runs and 3,000 hits, joining Hank Aaron, Willie Mays and Alex Rodriguez. In the seventh inning, Pujols hit his 630th career home run off the Mariners' Nick Rumbelow. By the end of the season, Pujols should join Aaron as the only players in major-league history to have 3,000 hits, 600 home runs and 2,000 runs batted in.